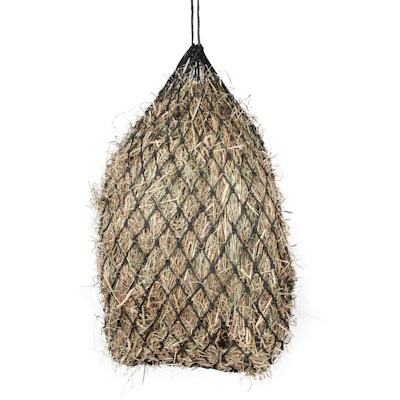 Extra strong hanging hay net with 2 inch square mesh holes that allows for slower feeding with less mess. Measures 40 inches, made from strong polypro material. The 2 inch small holes are designed to slow down the horse's intake of hay and prevent waste.